In a competitive global economy, getting the most out of every hour of work is crucial, and Trasteel Wear Parts and its range of Trasteel Tech attachments will help you to achieve it. Trasteel Tech is a leading-edge brand that is attentive to market changes and needs, primed to incorporate new equipment that will make your work easier and more efficient. Trasteel Tech offers a wide range of solutions for excavation, loading and handling works regardless of the materials. From excavation earthmoving and screening buckets for all types of excavators, intended from mini and midi excavators or backhoe loaders, additionally for excavators from 15 Tm to large production equipment of 120 Tm. Trasteel Tech also provides solutions for equipment used in loading, earthmoving and handling activities from telescopic handlers to large wheel loaders, used in big quarries, loading and handling works at harbours, hot slag foundries and many others. Trasteel Tech has painstakingly invested time to come up with the exclusive design of our buckets, which increase the (BOF) break out force of the machine, providing better productivity helping to make you tasks more efficient and profitable. 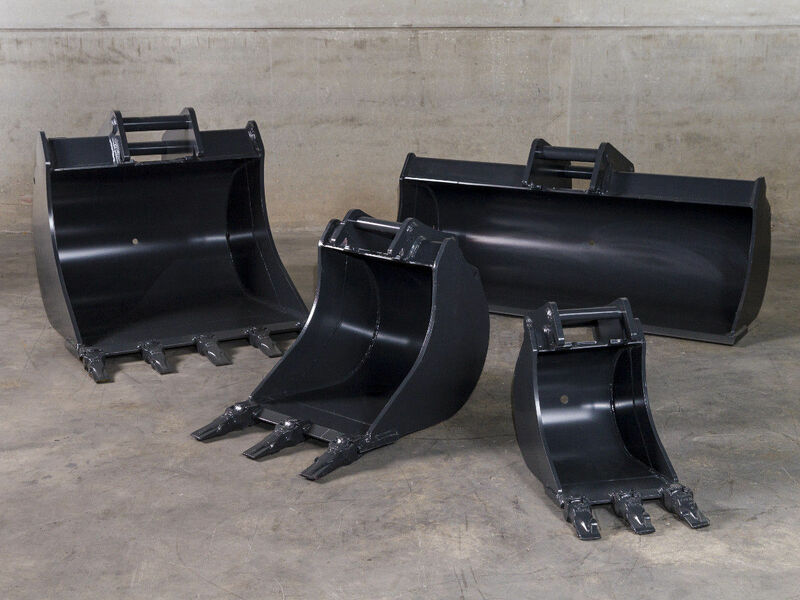 We also offer a bucket customisation and repair service to meet the demands of your work, applying special protectors where the equipment is most sensitive, to extend the wear life of the equipment. Endorsed by Trasteel components warranty. Cleaning buckets with and without TILT movement. Quick couplers. Mechanical and hydraulic. TILT and ROTOTILT equipment for articulation. Loading buckets for light materials suitable for all types of loaders. Heavy Duty buckets for quarry faces on large production loaders. High dump buckets for differents materials; from cereals or grain to iron ores, coal or any other material in port operations. Clamps for loading logs in the forestry sector. Clamps for loading large blocks in ornamental stone quarries. Quick couplers for efficient and safe implement changes.